Made with Silver Picture Frame with oval shape and very attractive and your dream photo frame an An exquisitely designed silver by photo frame . We are engaged in manufacturing a reliable array of Designer Silver Photo Frame in varied designs as per the requirement of clients. 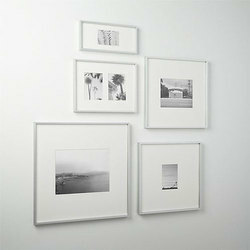 We specialize in the manufacturing of large variety of Silver photo frame. The designing has been to give them a very formal look. Therefore it finds its application in corporate offices. These Table Clocks are offered as per the specifications given by the clients. Our offered assortment of Silver Picture Frames offered in pure & plates silver that in turn makes it long lasting and worth keeping and using on ceremonies and special occasions. Its excellent quality polish plays a vital role in maintaining the look and shine for comparatively longer period of time. A memory that lasts through lovely photograph you can cherish. Celebrate the journey of your little one's first year with this silver coloured 'My First Year (13P)' photo frame by Archies. Ideal to be placed in your kid's room, it has 13 frames that will allow you to place cute snaps of your adorable baby. We offer our clients a large range of silver frames .This silver frame is available in different sizes as required. 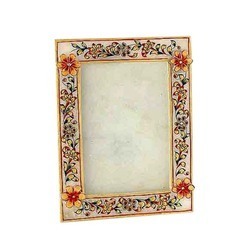 This frame is made up of wood on which silver work has beeen doon to make it look more attractive and is suitable for vastu also.